Make life easier. 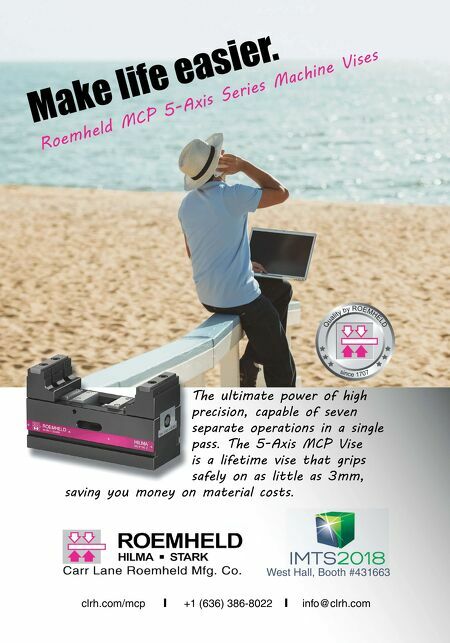 Roemheld MCP 5-Axis Series Machine Vises clrh.com/mcp l +1 (636) 386-8022 l info@clrh.com West Hall, Booth #431663 The ultimate power of high precision, capable of seven separate operations in a single pass. 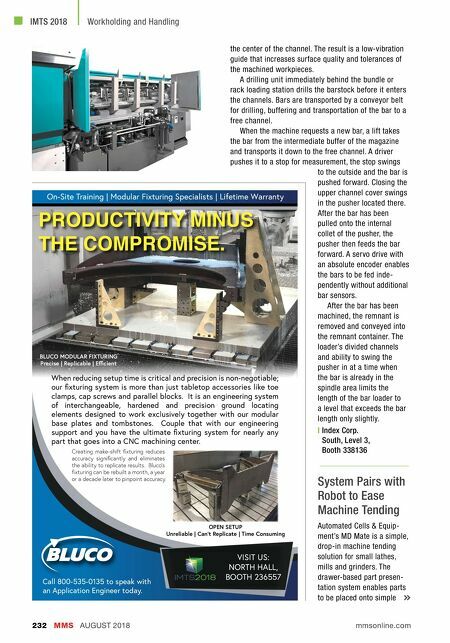 The 5-Axis MCP Vise is a lifetime vise that grips safely on as little as 3mm, saving you money on material costs.